Our self-contained Units are the ideal choice when you want all the comforts of home. 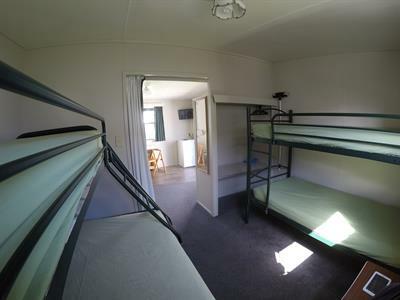 These Units have one open plan living/dining area, a separate small bunk room and a separate bathroom. 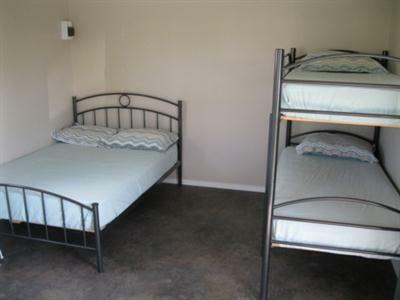 There is one Queen Bed in the main living/dining room and two single bunk beds in the small bedroom. 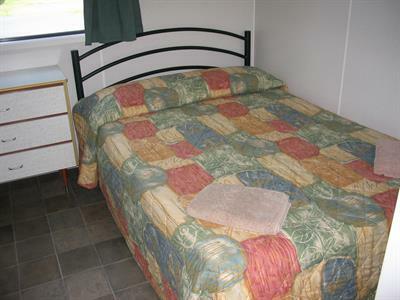 All beds are made up with full linen, except during peak season. 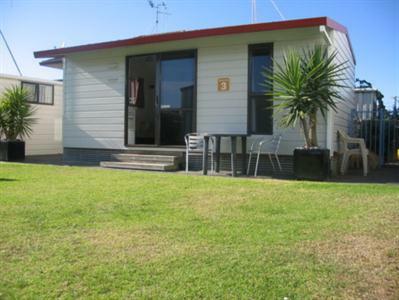 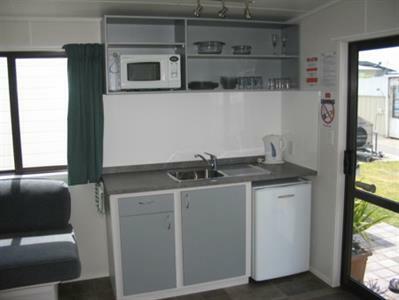 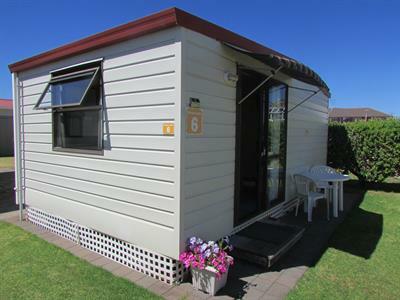 A Deluxe Kitchen Cabin is a well-equipped and comfortable holiday ‘home’. 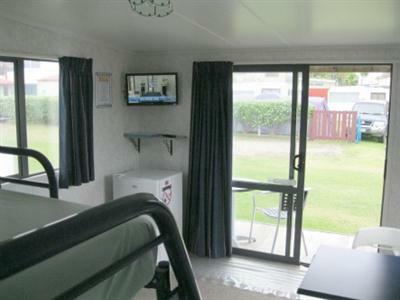 Kitchen Cabins are one open plan room, but the sleeping area is made completely private with a partial wall and curtain. 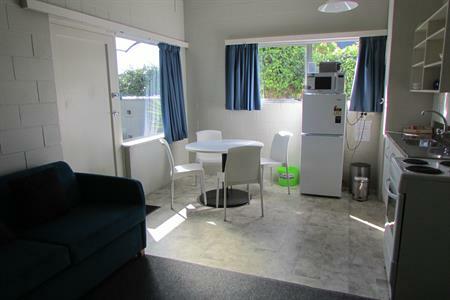 In the main living area you will find a kitchenette with a fridge, toaster, electric jug, microwave, electric frying pan and all the pots, pans, crockery and cutlery you will need. 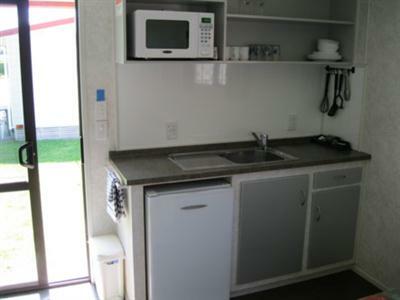 There is also a dining table and chairs, a colour TV and a double pull-out sofa bed in your living/dining area. 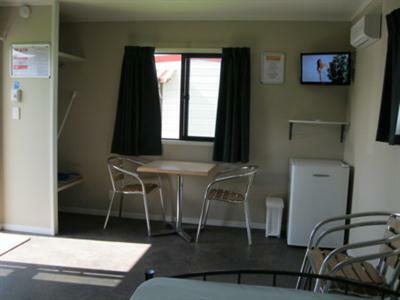 A Kitchen Cabin is a well-equipped and comfortable holiday ‘home’. 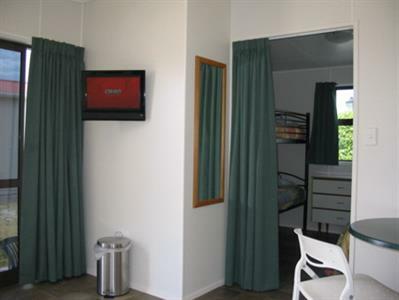 Kitchen Cabins are one open plan room, but the sleeping area is made completely private with a partial wall and curtain. 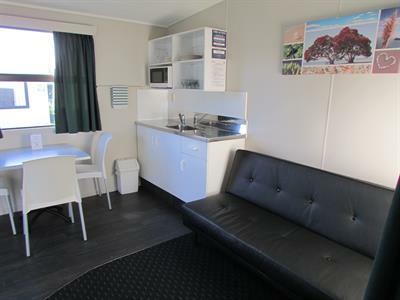 In the main living area you will find a kitchenette with a fridge, toaster, kettle, microwave and all the pots, pans, crockery and cutlery you will need. 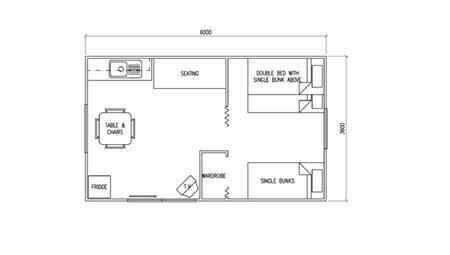 There is also a dining table and chairs, a single divan (which can be made up as a bed) and a colour TV in your living/dining area. 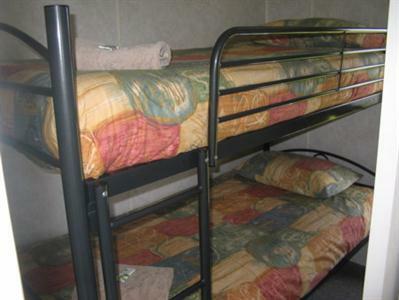 A Standard/ Backpacker Cabin is a basic cabin where you supply your own bedding and cooking equipment. 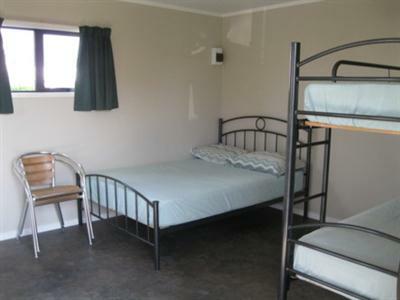 Our Standard Cabin is one open plan room, there is 1 double bed and a set of single bunks. 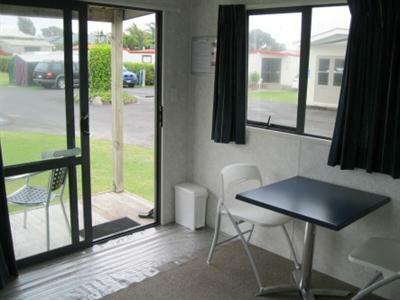 There is also a dining table and chairs, an LCD colour TV with freeview, a fridge, a heater and a ceiling fan. 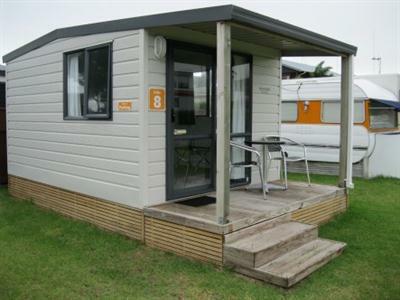 The park toilet/shower/kitchen block is 20 metres from your accommodation. 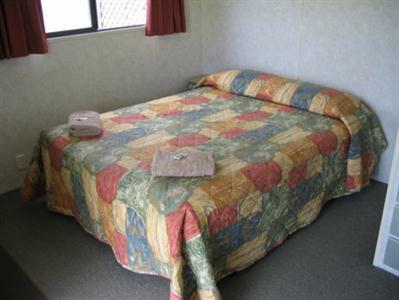 A Standard/ Backpacker Cabin is a basic cabin where you supply your own bedding and cooking equipment. 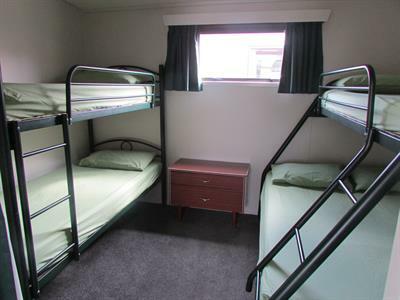 Our Standard Cabin is one open plan room, there is 1 duo bunk bed, double on the bottom with a single on top. 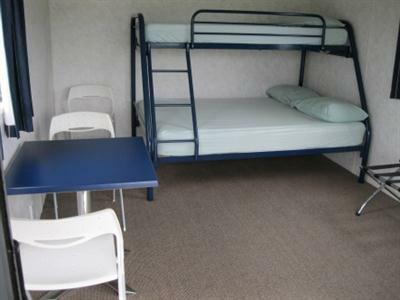 There is also a dining table and chairs, an LCD colour TV with freeview, and a fridge. 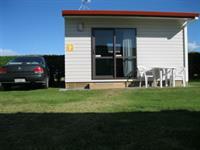 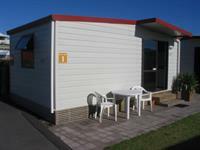 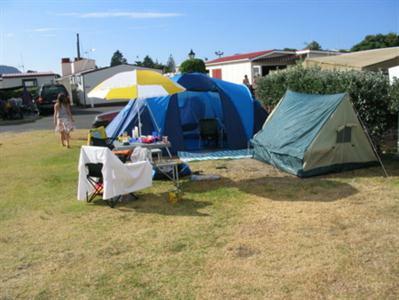 The park ablution block (toilets/showers/kitchen) is 30 metres from your accommodation. 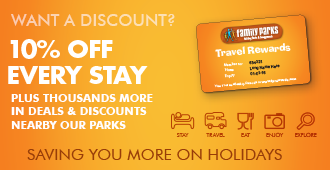 Come camping or caravanning with us! 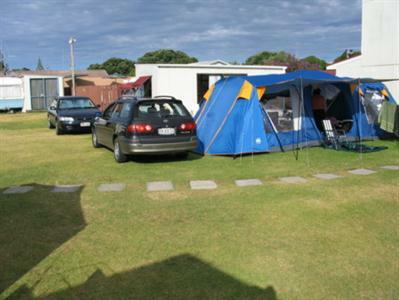 We have 60 powered sites within private hedge-lined rows. 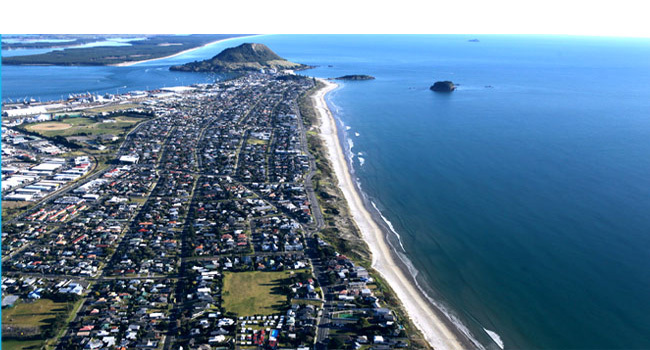 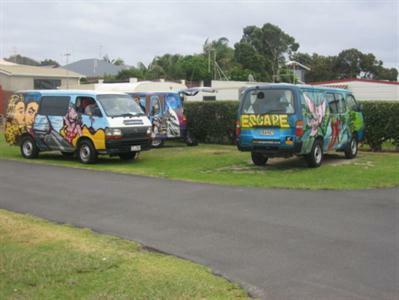 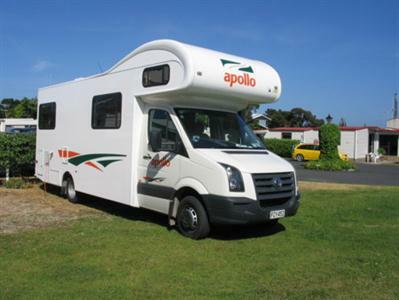 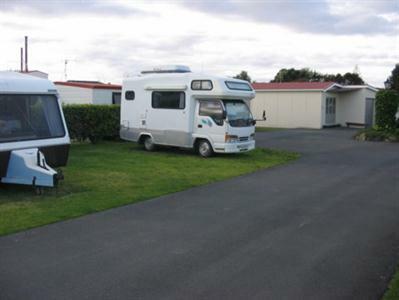 Motorhomes and Campervans are always welcome here! 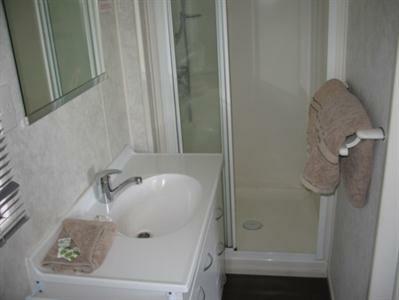 We have a grey water dump outlet on-site and there is a free sewerage dump station only a 5 minute drive from Cosy Corner.